The Delta Slide range of Insulated Sectional Doors offers a top-quality solution when it comes to managing an opening, across a wide range of sectors. The Delta Slide 2000 offers the same key benefits as the Delta Slide 1000 model with the added feature of spectacular glazed panels. It offers a proven combination of robust design, double glazing and insulated panels. 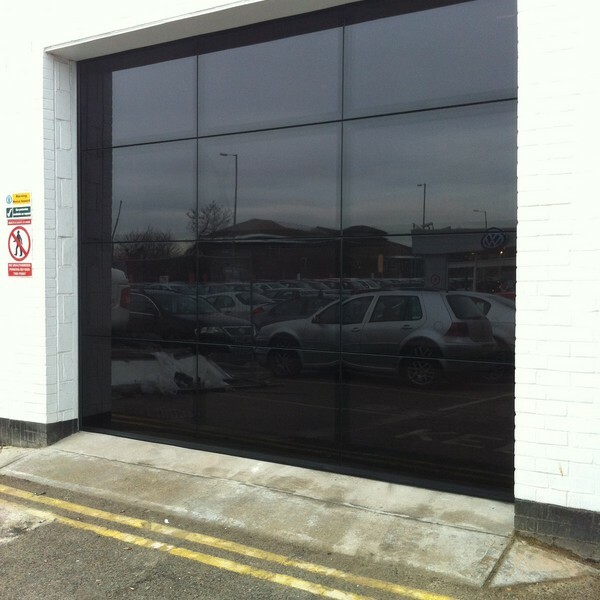 They are designed for buildings and businesses where natural daylight and maximum vision is required. 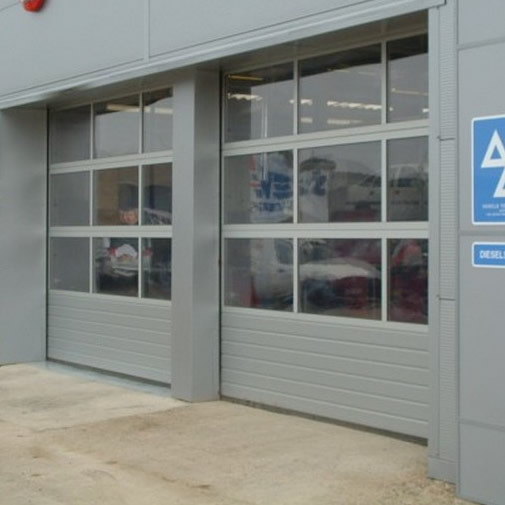 This might include areas such as MOT bays, car show rooms and emergency service areas. As with the Delta Slide 1000, the Delta Slide 2000 is mounted internally and provides a great space saving option for any opening. The doors open vertically, creating more space. Made of steel or steel/aluminium combination, they are one of our most well engineered products. 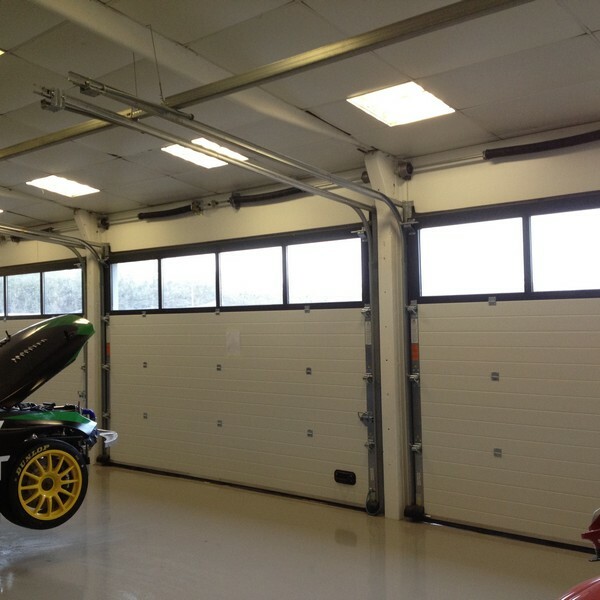 A range of track configurations ensure that the door panels have minimal impact being parked flat underneath the ceiling, vertically above the opening or in line with the roof. The Delta Slide 2000 doors come in a wide range of sizes, colours and finishes and conforms to CE standards.